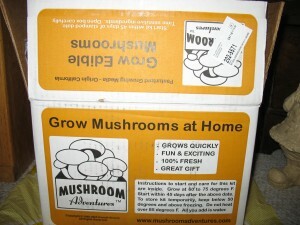 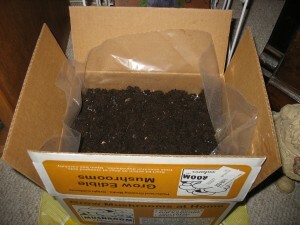 I recently purchased the Mushroom Adventures Button and Crimini Growing kit. 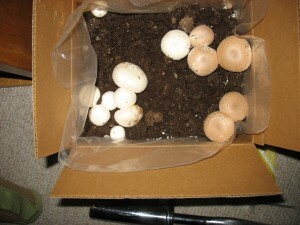 The kit is a little different than some because there is 2 different mushrooms growing in the same kit. The button and the crimini mushroom both come from the same family, genus and species, Agaricus bisporus. 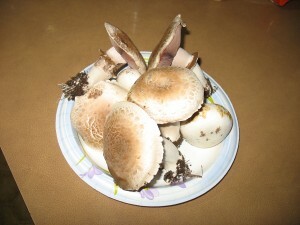 They are variations of the same mushroom! The kit was complete and all we had to do was mix the included casing with water and spread it on the top. 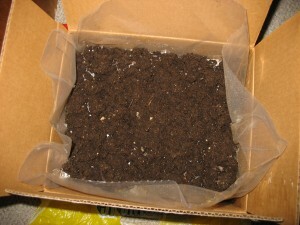 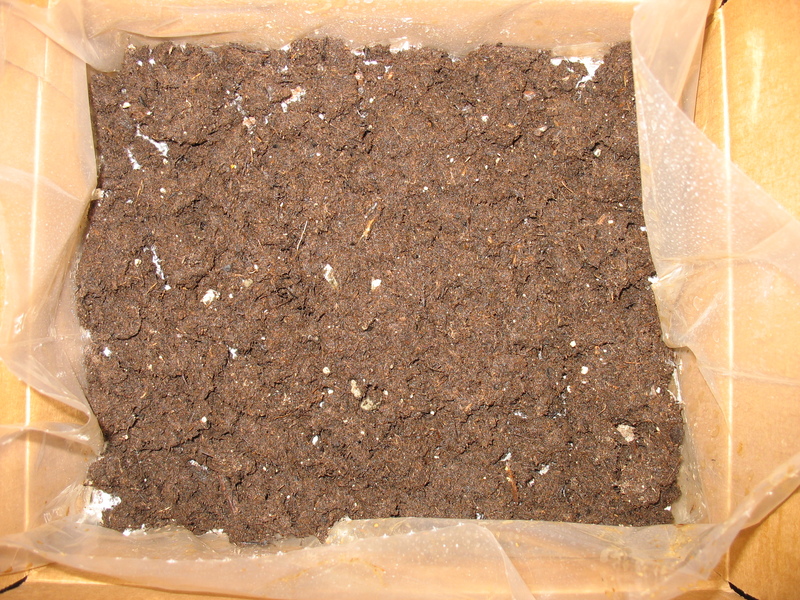 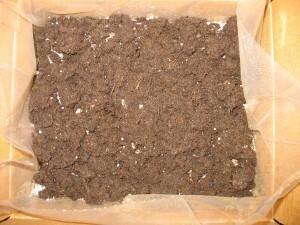 The compost was already alive with mycelium growing throughout. At this point the mycelium looked the same on both sides of the box. The box was misted once a day to simulate morning dew. There was mycelium growing up through the casing very soon and the kit started pinning or creating tiny mushrooms! Then the kit started to really grow! 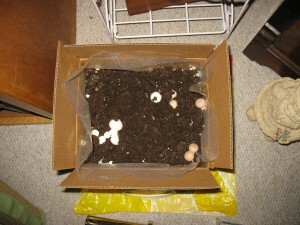 It was obvious which side was growing which mushroom! 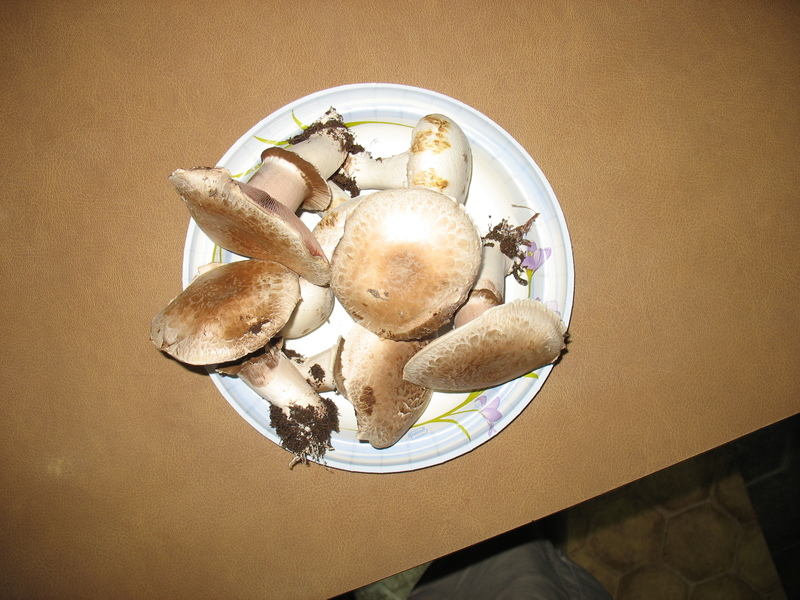 The mushrooms doubled in size every day. 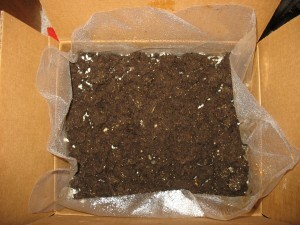 We have had at least 3 harvests so far and the kit is slowing down, but still growing. We have been very pleased with this kit and the mushrooms have been delicious. 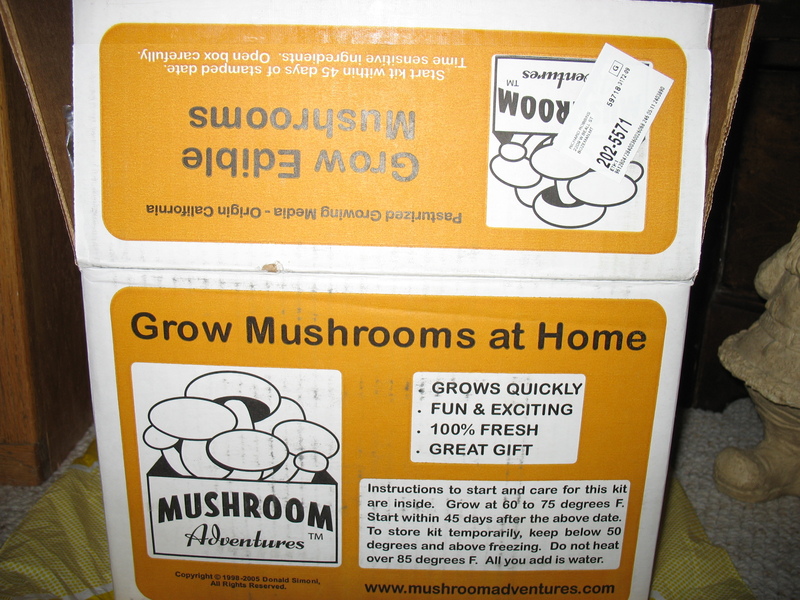 This would be a great kit for someone who wants common mushrooms, but does not want the nasty chemicals that come along with most “store bought mushrooms”. 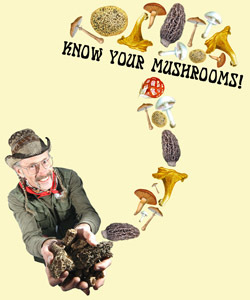 This also would be a great kit for beginners.